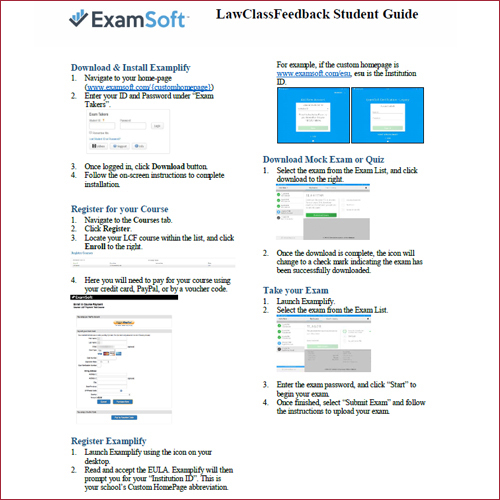 Wolters Kluwer and ExamSoft have partnered to create LawClassFeedback, ready-made quizzes that help legal educators incorporate formative assessments in their courses. 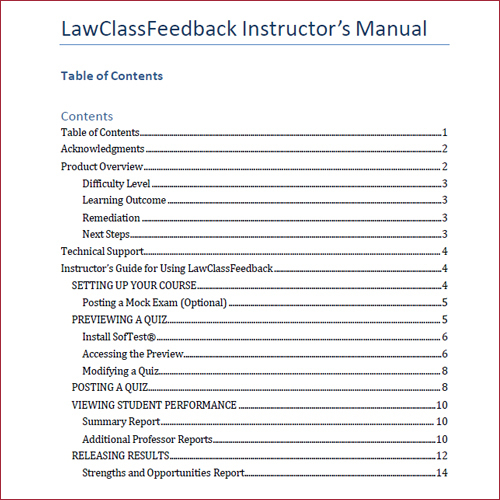 The resources below are designed to help LawClassFeedback adopters get up and running in no time. 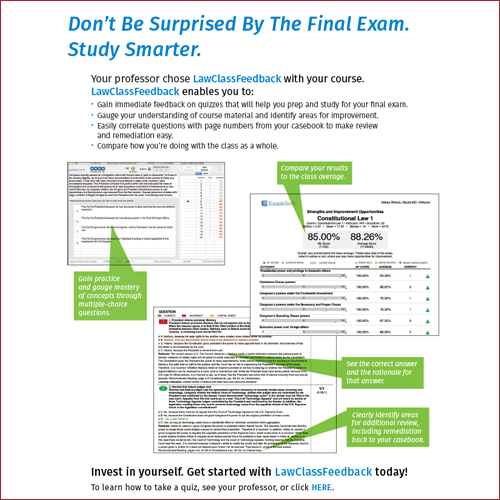 Interested in adopting LawClassFeedback for your course or learning more about the product? Contact your Sales Rep today. First, go to the Assessments tab and select Create New Assessment. Next, select Add Questions to Assessment to begin adding questions to your exam. When adding questions to your exam you have the choice of adding questions from either the Folder view or the Category view. Once you've determined the question folder, you can either load the questions in a bulk selection or only add specific questions to your assessment. Once you've selected all of the questions for your assessment, click Add Selected to Assessment. Once you have added your questions to the assessment, there are additional features that you have an option to apply, including the option to automatically release results. Click on the checkbox Auto Release Results. A window will appear with settings that your students will see on their automatically-generated report. You can also choose to email your students after the exam, which will include a link to their generated reports to review their results and get feedback right away. After you are finished building your assessment, click the Post Assessment button. A window will appear with your assessment settings. 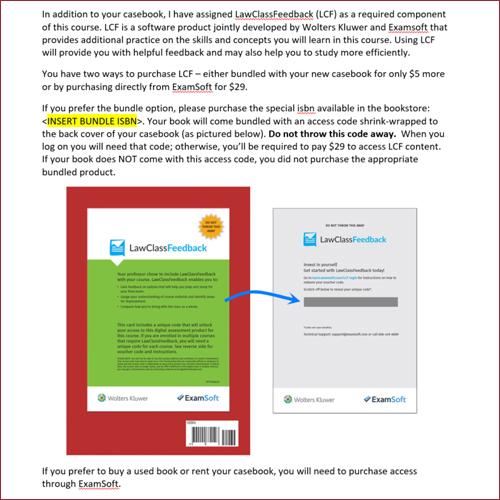 To post your assessment, you must create an assessment password, select the appropriate course from the list, and enter both a download start and download end date. After your assessment has been posted and your students have submitted their answer files, you can begin analyzing the results. First, select an assessment that has uploads. Next, click on the Reporting / Scoring tab to choose the report that you would like to view. For a general overview, choose the Summary Report. To get an overview of individual student performance, choose the Strengths and Opportunities report that will include the student's score, the average score for the assessment, the student's performance on specific categories, and each question in the assessment with rationale.